My name is Joel Swanson. My 65' Thompson Seamate was a two and half year project. I completely stripped, flipped, fixed, repainted, installed new seats, windshield, floor and deck. 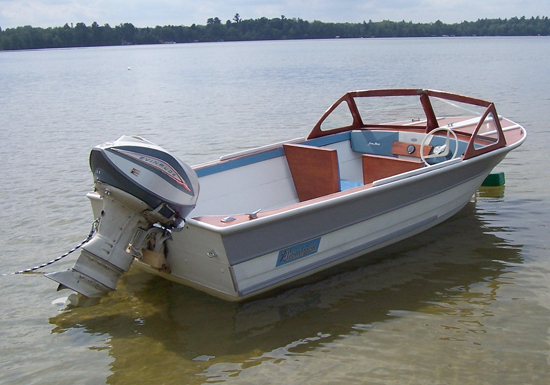 The 1967 60 hp Evinrude makes the boat really move. I'm planning to redo a couple of things next year to make it more original. I am already looking for my next Thompson, love the way they look, their strength, and the way they ride! !